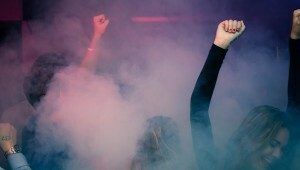 If all goes as planned, it would appear that Nevada will be the first state to allow recreational users to consume marijuana in clubs and lounges. The beginning of September, the state Legislative Counsel Bureau confirmed that state law does not prohibit city or county governments from operating a lounge in which patrons may use marijuana. The bureau went on to say that cities and counties are allowed to adopt their own rules governing those businesses; they are also allowed to decide whether those businesses are required to obtain special permits. At present, public smoking is banned under state law in Nevada’s hotels and casino. Nevada is not alone on this. Washington, Colorado, Alaska and Oregon – the four other states where recreational marijuana use is legal – also do not allow public use of marijuana in lounges or other facilities. Recreational use is restricted to private residences. There are three other states – California, Massachusetts and Maine – that are finalizing rules in advance of legalized marijuana. Despite legalization advocates efforts, none of these states are currently considering legal pot lounges. However, there are many legalization skeptics that are still concerned about what marijuana stores and lounges in their community will lead to. Many are worried that it will increase the risk of crime associated with the industry. While these skeptics do not necessarily want marijuana users to go to jail for using, they are not ready for pot clubs to move into their neighborhood. “Data show that areas around marijuana stores have higher crime and issues with second-hand smoke and other nuisances. I can’t imagine pot clubs will be a good thing for the state,” says Kevin Sabet, who heads the anti-legalization group Smart Approaches to Marijuana. There are also concerns that the Trump administration may reverse a long-standing Obama administration agreement; this agreement deemphasized prosecutions of marijuana-related businesses in states that have legalized marijuana. Not knowing which direction the Justice Department will decide to go, many are worried about potential legal issues. Marijuana businesses already struggle to find the services they need to operate safely. If the Justice Department chooses to shift their stance, it will definitely make day-to-day business operations even more difficult. Most banks refuse to work with marijuana merchant, due to the risks of the industry and heavy federal regulation. The safest options for these merchants are either operating in cash (obviously extremely unsafe, not to mention impractical) or finding an alternative processor like Marijuana Merchant Account (MMA). Depending on the business type, merchants can secure either a recreational or medical marijuana merchant account to sell marijuana in as little as 24 hours. In the final days of the Maryland legislative session, top democrats agreed to the expansion of medical marijuana growers in the state. Two top lawmakers in particular, Senate President Thomas V. Mike Miller and House Speaker Michael Busch, showed their support by writing a letter in July requesting passage of “emergency legislation” in the legislation session beginning January. Even with these steps forward, there are still many issues to discuss. For example, lawmakers are still wrestling over which businesses should be given entry into the lucrative marijuana market. Fifteen companies were preapproved last year by regulators. If they pass all final inspections and background checks, they’ll be cleared to open cultivation sites. And what about marijuana credit card processing? With strict federal regulations, merchants are unable to secure processing and funding from traditional financial institutions. Most turn to an alternative provider like Marijuana Merchant Account (MMA). There have been other obstacles in the process of approving five additional growing licenses. 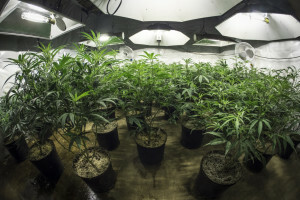 In the final days of the legislative session, House and Senate negotiators battled over a compromise concerning how many new licenses should be issued, along with whether the number of growers should be reduced if a company fails inspection. If the new bill was passed, it would also favor minority-owned companies. This addition is lawmakers attempt to address concerns raised when two companies sued the state after their application was rejected in favor of lower-ranked bids. According to The Washington Post, these lower-ranked bids were from “geographic regions of Maryland where no growers had been approved”. Opposition arose to expand the Maryland marijuana market, surprisingly, from the fifteen businesses that have already been given cultivation licenses. These companies have banded together to oppose expanding the market. According to them, this expansion completely derails their business plans and pitches to investors; their plans were based on the expectation that they would have exclusive foothold of the marijuana industry in Maryland. Unfortunately, the session came to a close with no resolution. The bill was pushed off until 11:55p.m. – with a midnight deadline – before it came up before the full House. Republican lawmakers then delayed the vote by asking questions until the clock hit midnight. The 90-day session came to a close. The result: none of the companies that received the green light to start growing Maryland’s first legal marijuana belong to African Americans, and the legal battle with two rejected applicants continues (they planned to drop the lawsuit if the bill was passed). The decision may be delayed, but the push for growth continues. To the delight of the medical marijuana industry, it’s a season of growth. The campaign to create a medical marijuana program in New York was a very long, uphill battle. Even when it was finally passed in 2014, advocates criticized the many restrictions imposed. Known for being again the legalization of marijuana, many were pleasantly surprised and relieved when Gov. Andrew Cuomo agreed to sign legislation granting five licenses to grow marijuana. Although, the number of dispensaries in the state was capped at 20. Since then, Gov. Cuomo administration has made many changes. Home delivery of the drug has is now permitted. Chronic pain was added to the list of eligible conditions, and nurse practitioners are now allowed to prescribe the drug. More than 20,000 patients and over 1,000 practitioners have been registered. Although he still openly opposes recreational marijuana, Gov. Cuomo has been become more accepting of medical marijuana. 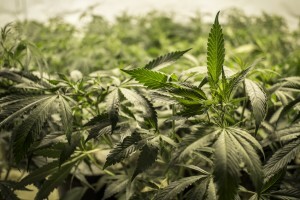 In June, the state Senate voted to add PTSD to the list of illnesses and ailments eligible for the state’s medical-marijuana program; this decision came six weeks after the Assembly’s decision to do the same. On August 1, the New York State Department of Health announced that it had licensed five new medical marijuana companies. This addition doubled the number of firms growing and selling medical marijuana products under the (strictly) regulated state program. The new businesses joining the industry are New York Canna, Fiorello Pharmaceuticals, Valley Agriceuticals, Citiva Medical and PalliaTech NY. Despite growth, there are still many obstacles to overcome, and plenty of issues merchants are currently struggling with. For example, on behalf of four of the five original companies, the New York Medical Cannabis Industry Association, sued the state to try to stop the issuance of new licenses. The claim was that this issuance was an overreach of legal authority. Another large issue merchants and medical marijuana businesses experience is finding payment processing solutions. 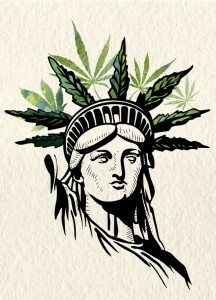 Although medical marijuana is legal in New York, it is still illegal at the federal level. With strict federal regulations, banks won’t touch cannabis businesses. An increasingly popular solution is a marijuana merchant account from an alternative provider like MMA. These accounts allow these merchants to avoid operating in cash-only by providing the ability to process credit and debits cards and e-checks. Regardless of those who have tried to stall progress, the New York medical marijuana industry is moving forward. Even with the many obstacles, it continues to grow and merchants are finding the solutions they need to grow a thriving business. The news is full of updates on the state of the marijuana industry. Reports of which states have legalized recreational and medical marijuana, along with the many reasons why cannabis is beneficial. One of the less mentioned topics is the nerve-racking process these marijuana merchants go through to complete otherwise simple, mindless business tasks. Consider the state of California, for example. On January 1, 2018, recreational marijuana will become legal in California. Coupled with the already legal medical marijuana, this could quickly push California to be the largest legitimate marijuana economy. However, there is one large, crippling aspect to the marijuana industry that makes it difficult – even dangerous – to operate in: most merchants can’t use a bank. An emerging marketplace, with a projected $7 billion value, finds itself operating in cash-only. How is this possible? 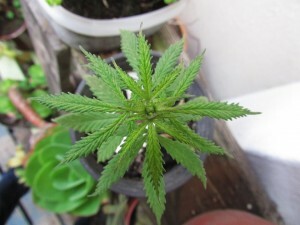 Marijuana is classified by the DEA as a Schedule 1 substance (high potential for abuse, with no currently accepted medical use in treatment in the U.S.), alongside heroin. Thus, it remains illegal under federal law. With intense federal regulation, banks do not want to handle the risks involved in working with businesses that offer cannabis product. Within the next few years, California is expecting to collect $1 billion in new tax revenue from the marijuana industry. L.A. has an estimated 1,000 to 1,700 medical marijuana dispensaries. In 2016, only 200 paid city taxes. Next year alone, the state expects to collect $40 million. This stunning amount must be processed through a bank, right? Think again. With no bank solution, these merchants must closely manage their cash to ensure they have enough to cover taxes. While other businesses send a check or wire the money via their laptop, marijuana merchants count their (massive) cash on hand, make arrangements to drop off the tax payment –hundreds of thousands of dollars in many cases – and then make a nerve-racking trip to the agency. The biggest fear is being robbed in route. “When now everyone makes payments through their cellphone, it’s tough to see that I’m left to the archaic version of counting money”, says Jerred Kiloh, owner of the Higher Path medical marijuana dispensary in Los Angeles. More and more merchants are beginning to discover the advantages of securing a merchant account to sell marijuana through an alternative provider like Marijuana Merchant Account (MMA). Specializing in working with the cannabis industry, these solutions provide safe and efficient payment processing options. No longer restricted to cash only, MMA offers credit and debit card processing and e-check processing. In an industry where merchants, banks and armored truck services fear backlash from the federal government, merchant accounts offer a real, safe solution for marijuana merchants. The marijuana industry is almost unrecognizable when you compare what it is today with what it was a couple of decades ago. Far from the completely black market, the marijuana industry is now valued at $4 billion a year. In addition, things have transitioned from farmers hiding from helicopters to business suits and legal transactions. Before, funding and payment processing were impossible. 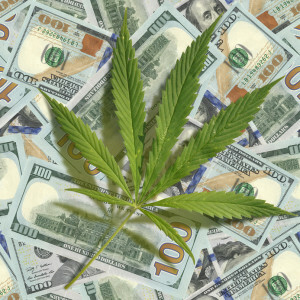 Now, alternative lenders offer quick, flexible solutions (consider Marijuana Merchant Account). No more hiding in the shadows. Among the many changes, the marijuana industry has recently begun to attract a growing line of investors. These individuals are more interested in the money than with the product itself. According to Marijuana Business Daily, investors plan on average to invest half a million dollars in the marijuana industry in 2017. Several investors have even shared they are willing to risk more than $25 million. Participating parties include individual investors, private equity and venture capital firms. All are hoping to seize profitable opportunities to monetize marijuana. Founded in 2010 by cofounder and Chief Executive Officer Adam Bierman and Andrew Modlin, the MedMen Opportunity Fund has invested in seven projects, including: dispensaries spanning from California and New York, and cultivation facilities in California, New York and Nevada. $99.2 million has been raised, including $60 million raised through MedMen Opportunity Fund (which closed in April). Casa Verde differs from the previously listed financial companies in that its investments are smaller, $250,000 to $500,000 per new company. However, the company names are bigger (e.g. Snoop Dogg and Ted Chung). Casa Verde says its focus is currently set on becoming the preeminent venture partners for early stage companies. Founded in 2014, Poseidon Asset Management’s exclusive commitment is to cannabis investing. Recently, the company led a $3.5 million purchase of a winery that intends to switch to cannabis crops. Thus far, the company has raised $25 million and invested in 40 different companies. Arcview group was founded by Troy Dayton and longtime activist Steve DeAngelo. Arcview has provided capital for 141 companies – Mass Roots, MJ Freeway, Medicine Man, Eaze, among many others – and has invested $115 million. Their specialty is vetting and presenting companies seeking investment with people who wish to invest. Next year, billions of dollars are expected to flood the California’s marijuana industry when recreational cannabis is made legal. Even so, these businesses will struggle to secure the services they need with their local banks. But why would such a profitable industry with so much potential experience issues securing solutions with a traditional lender? During the Obama administration, guidelines were issued by the Justice Department that were intended to help banks avoid federal prosecution when providing services to legal marijuana businesses. However, banks remain unwilling to work with these merchants for fear it will expose them to legal trouble from the federal government. According to The Los Angeles Times, an estimated 70 percent of cannabis businesses have no bank accounts. As of now, marijuana is still illegal on the federal level; the Drug Enforcement Administration classifies it as a controlled substance with no accepted medical use – listed alongside heroin. Thus, federal government heavily regulates the banking industry. The Justice Department is concerned that profits in legal marijuana states could easily be funneled to gangs are cartel. The rules are supposed to act as a shield for banks, protecting against charges like aiding drug trafficking. From the banks perspective, it can be difficult to be fully confident in determining a marijuana business’ true intentions. Most banks find it a heavy burden to decide whether the business is operating within the law, and therefore shy away from working with these merchants. The risks are simply too high for financial institutions. There are a few banks and credit unions who are still willing to handle marijuana business’ money, but very few. In 2015, Colorado tried to set up a credit union specifically for the marijuana industry, but was blocked by the Federal Reserve. In another attempt, the Oregon Department of Revenue created a secure office for these businesses to drop off and count cash. Overall, this situation has created a very unstable, unsafe atmosphere for legal marijuana businesses to operate in. How many industries involve business people walking around with millions of dollars of cash? To get around this problem, some merchants open bank accounts by setting up a nonprofit organization or management companies with an ambiguous, in hopes of misleading banks. There are much safer and straightforward options available. An increasingly popular solution to this ever-growing problem is a marijuana merchant account. Alternative providers – like marijuana merchant account, also known as MMA – specialize in providing the payment processing solutions and business funding this industry needs. Depending on the business type, merchants can secure either a recreational or medical marijuana merchant account in as little as 24 hours. While many are optimistic about the marijuana industries future, for now, the safest options for merchants remain either in cash (still extremely unsafe and impractical) or an alternative solution; such as a marijuana merchant account from a high-risk provider. When it comes to the legal marijuana industry, many people assume it’s a small, struggling group of people. While it’s true that the industry has encountered many obstacles and likely has more to face in the future, you might be surprised to hear that the industry is a lot bigger than you previously believed. For example, if your living in one of the legal marijuana states, it might actually be easier for you to find someone to recommend and sell you cannabis than to find a dental hygienist. The Bureau of Labor Statistics revealed that there are 204,000 individuals employed as dental hygienists. As of the beginning of this summer, the marijuana industry has 165,000-235,000 full- and part-time workers. Based on the estimates published in the newly released Marijuana Business Factbook 2017, this employment data includes retailers, wholesale grows, infused products/concentrates companies, testing labs and ancillary firms. Impressive, considering that the marijuana industry has only been operating legitimately for a few years (since 2009). On July 1st, Nevada joined the list of states that have legalized recreational marijuana. This makes them the fifth state – among Colorado, Oregon, Washington and Alaska – to open dispensaries to recreational users. California, Maine and Massachusetts also past recreational measures in November, but are still finalizing their rules. This growth in the cannabis industry is accompanied by the expectation that the industry’s employment will boom as well. Over Fourth of July weekend in Nevada, for example, recreational legalization led to as many as 1,000 customers each day. Estimates from business intelligence firm, New Frontier Data, anticipate that the market for legal weed may create as many as 250,000 new jobs by 2020. At the moment, the majority of the jobs in the marijuana industry are small businesses. 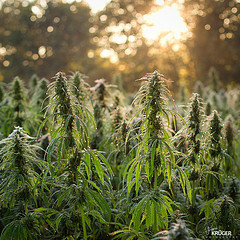 The state-by-state nature of the marijuana industry has prevented many of these businesses from developing into large-scale enterprises that employ hundreds of people. For now, theses small businesses only require a handful of employees to maintain their daily operations. Even so with the growth of the industry, these businesses struggle to find basic business services, like flexible business funding options and payment processing. With the high-risk categorization of the industry, most traditional providers won’t touch marijuana merchants. This is where alternative providers like Marijuana Merchant Account have stepped in to help. As a high-risk specialist, MMA specializes in providing these merchants with business financing and payment processing solutions. The hope is that, in time, more and more providers will except cannabis merchants, considering that the industry could explode to $50 billion in the next decade. Number of Banks Serving Marijuana Businesses Increasing, or Is It? 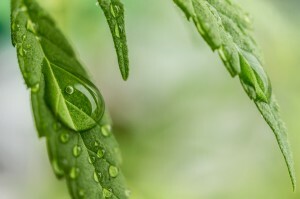 Many in the marijuana industry were optimistic when they read the recent report from the U.S. Department of The Treasury’s Financial Crimes Enforcement Network (FinCEN). This report revealed a sizeable increase in the number of banks and credit unions providing financial services to legal marijuana business. In FinCEN’s latest Marijuana Banking Update, 368 depository institutions were “actively banking marijuana businesses in the United States” at the end of the first period (March 31). The marijuana industry is heavily cash-oriented, which isn’t easy for the 29 states that have legalized medicinal or recreational use of cannabis (or both). So, the news that the number of depository institutions working with legal marijuana business was up from 333 at the end of 2016 to 368 was very welcome. The November 2016 elections also added eight states to the list of those that have legalized recreational use: California, Nevada, Massachusetts and Maine. Marijuana-limited is for routine tracking of these businesses, and shows the bank believes the business is complying with state law. Marijuana priority SAR indicates that the financial institutions believes the business might be in violation of state law. 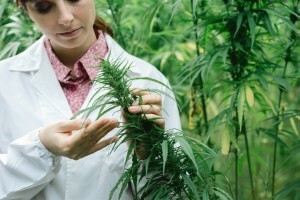 Marijuana termination reports that the institution has ended its relationship with the cannabis business for due-diligence, legal or business reasons. According to FinCEN, since January 2014, financial institutions have cumulatively filed 20,288 marijuana-limited SARs. There have been 7,326 terminations SARs, and 2,007 priority SARs. Despite the increase in marijuana-limited SARs, FinCEN says the report shouldn’t be taken as hard evidence that financial institutions are warming up to the cannabis industry. Jim Petkovits, vice president of education and training at WesPay, a San Francisco-based regional automated clearing house association, says some banks will quietly serve only one or two cannabis clients. Others find out that they’ve unwittingly served a marijuana business and quickly terminate the relationship by generating a SAR. However, interest doesn’t necessarily mean acceptance. Most financial institutions are waiting for the go-ahead from Congress. (Marijuana remains illegal under federal law.) Many doubt that acceptance will come anytime soon, considering Attorney General Jeff Sessions statement in April that he intends to harden federal drug-enforcement policy. This has left many cannabis businesses with little to no merchant account options, making it impossible to secure payment processing solutions. This has led many alternative processors – like Marijuana Merchant Account– to reach out and offer marijuana business funding options and marijuana merchant accounts. For now, it appears cannabis business’ best option is to work with a high-risk specialist to secure safe, flexible business funding options. With the ever-growing support for legalized medical and recreational marijuana, it is hard to fathom that some states may never legalize one or the other (or both). But, there are 14 states that may never do so. It isn’t the money, per se, but it has a lot to do with politics. The fourteen states are: Alabama, Georgia, Indiana, Iowa, Kentucky, Kansas, Louisiana, North Carolina, South Carolina, Tennessee, Texas, Virginia, West Virginia, and Wisconsin. States that tend to lean Republican are less likely to legalize recreational marijuana – and these states historically vote Republican. Conversely, the Republican Party tends to take a more conservative approach to the legalization of marijuana, meaning they’re more likely to side with the federal government’s stance of the drug being illegal. This isn’t to say that red states don’t legalize marijuana at all; but there tends to be a pretty clear dichotomy between legal states (which are mostly blue) and non-legal states (which are mostly red). So, if you are in a Republican-leaning state does this mean that you will never have legalized recreational marijuana? No – but there is a much less chance than if you lived in a Democratic state. But this isn’t the only reason that these states will not legalize marijuana. The lack of I&R laws (Initiative & Referendum) is also a major reason. The I&R process refers to the method of allowing residents within a state to vote on a piece of legislation to approve it or reject it. An initiative allows citizens within a state to propose or initiate a statute or constitutional amendment, whereas a referendum allows citizens to refer a statute passed by a state’s legislature to the ballot so voters can enact or repeal the measure. Within the U.S., 26 states allow for the I&R process, while the remaining 24 states lack the right to I&R. Of the 24 states that lack the I&R right, 10 have approved medical marijuana, leaving the 14 states you see above to make up the remainder. In laymen’s terms, unless a lawmaker introduces a bill to legalize it, there is little chance of it getting on a ballot. Right now only about 5% of the US population can legally light up recreational marijuana. Come Tuesday, the number night jump to over 25%. Recreational marijuana is the hot topic on many state ballots, and it will be interesting to see if the latest Gallop Poll’s numbers add up. In the latest poll, 60% of Americans were in favor of legalized marijuana in some form or another. Measures to legalize and regulate the sale of cannabis are in California, Arizona, Massachusetts, Maine, and Nevada. Approvals mark the biggest advance yet for advocates in the decades-long fight over legalizing marijuana—one that they believe could ultimately force the federal government to end its prohibition of the drug. And this is huge, since the Feds still consider marijuana in any form an illegal substance. Medical marijuana has been legal in California for 20 years, and sanctioning its use more widely would surely exacerbate tensions with the Drug Enforcement Administration and Congress over enforcement of federal laws classifying cannabis as a drug. Legalized recreational marijuana in California alone could boost tax revenue by the tens of millions – if not more, many believe. And this tax revenue helps us all: From roads to bridges to schools and even educational programs about the effects of illicit drugs. So, what’s the big deal? If everyone – the government included- gets some benefit from legalized medical and/or recreational marijuana, why the hold up? Well, there is a lot of stigma with pot smokers, and even though many studies show that it has medical benefits, these studies are typically not long-term, so there isn’t a lot of feedback to see if anything detrimental could happen to someone in the future. For those who are wanting to start a dispensary, go for it! Not only can you reap the financial benefits, you will help your state and local government by the higher taxes, and you will help someone in need get the natural drug of their choosing. Call 1-800-466-1809 now to get your medicinal marijuana dispensary merchant account today!